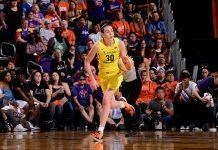 Lauren Jackson, Penny Taylor, Suzy Batkovic, Kristi Harrower, Belinda Snell, Liz Cambage, Abby Bishop and Jenna O’Hea headline the list for Australia’s prospective basketball team Olympians. It may be the strongest that list has been in many years. College ball in full effect!